SHOWN WITH 109 C-7 INCANDESCENT ASSORTED COLORED LAMPS. COMPLETE WITH STANDARD GROUND MOUNT HARDWARE. 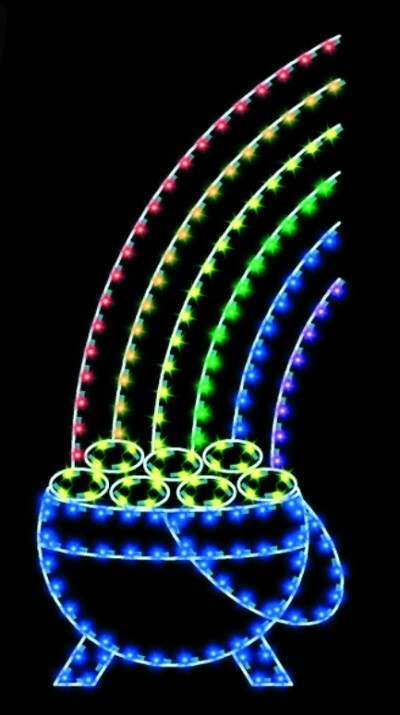 8' POT O' GOLD WITH 167 C-7 INCANDESCENT LAMPS @ 835 WATTS & 45 LBS.